Help, Solutions & Support for Teens & Parents. Teens today are faced with many difficult situations and the potential for abusing drugs is more prevalent than ever. Not only has there been a significant increase in the number of teens who abuse drugs, but there has also been an increase in the number of dangerous substances that are available to teens. This sparks major concern amongst parents, caretakers, and even some youth. 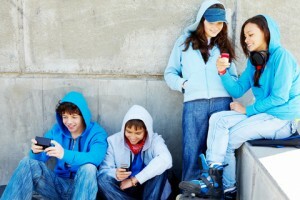 The dangers that teens are faced with today are simply too much to overlook. Synthetic drugs, prescription medications, marijuana, cocaine, heroin and various other substances are now widely available to youth who are vulnerable to the complications and consequences that can result from the use of dangerous substances. Call our helpline at 1-800-895-1695 for help finding a teen drug rehab program. Teenage Drug Rehab .com provides a free referral network of rehab centers and treatment programs that have been developed specifically to help teens who are struggling with the burdens and battles of drug abuse and addiction. Parents and teens alike can find help, hope and support through the free information guides, local resource network and referrals that are provided at Teenage Drug Rehab .com. Our goals is to help teens and the parents of teens to get the addiction treatment necessary to facilitate long-term recovery and growth. To accomplish this goal, Teenage Drug Rehab provides an entire network of information and connects you with local treatment professionals & counselors who specialize in teenage rehabilitation & treatment. Parents around the world face the difficult decision of seeking professional treatment and counseling for their children in unique situations when the need is simply too much to overlook. Teens who abuse drugs are more likely to fail in school, contract STDs, take part in dangerous or promiscuous activities, and suffer the great consequences that come from substance abuse & addiction. Parents face the challenge of learning how to recognize the symptoms of teenage drug abuse early on, recognize the need for professional treatment and take action to get help. We can help you find teenage rehab & counseling programs, call 1-800-895-1695 for help.